I’m telling you folks it’s paradise and it couldn’t be easier. Because the crust of these Ooey Gooey Bars begins with a boxed mix, and usually – what can I way, it’s not always the best way to begin a recipe. But this, oh, I dare you to see if you can tell the difference! As it cooks, it develops this ooey gooey amazing, fabulous, yummy center that you can’t describe. 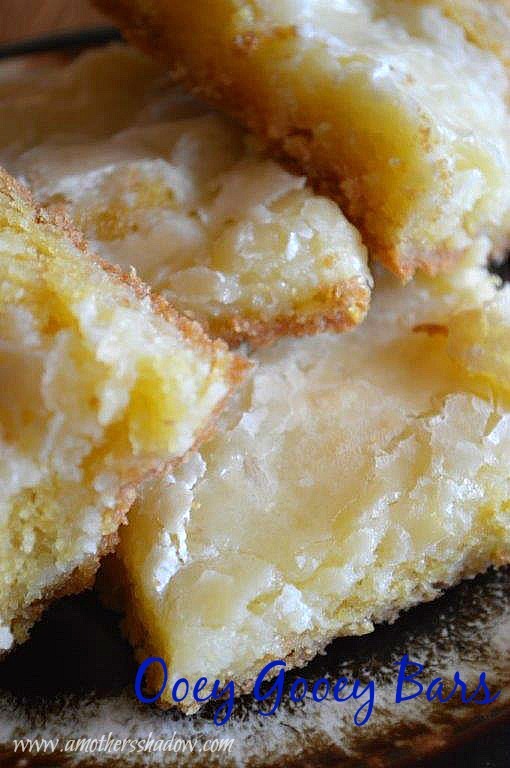 You’ve got to make these Ooey Gooey Bars and try it. When I first had these, I thought the crust was a glaze, but NO! 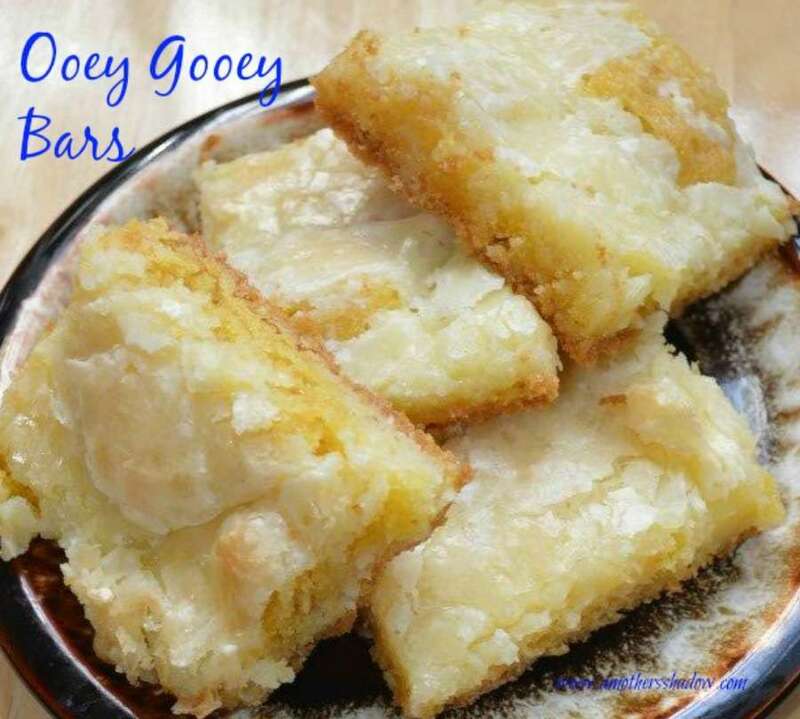 As the Ooey Gooey Bars cools, it creates this thin crispy scrumptious topping all by its self. You gotta make these fabulous treats, you’ll love them, and so will your family and friends. 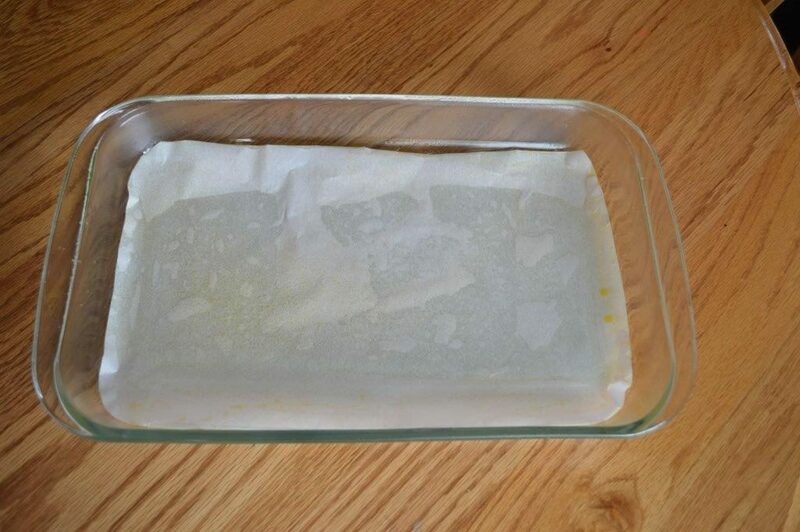 Cut parchment paper to fit into the bottom of a 9×13” pan. Coat the bottom and sides of the pan with non-stick spray. 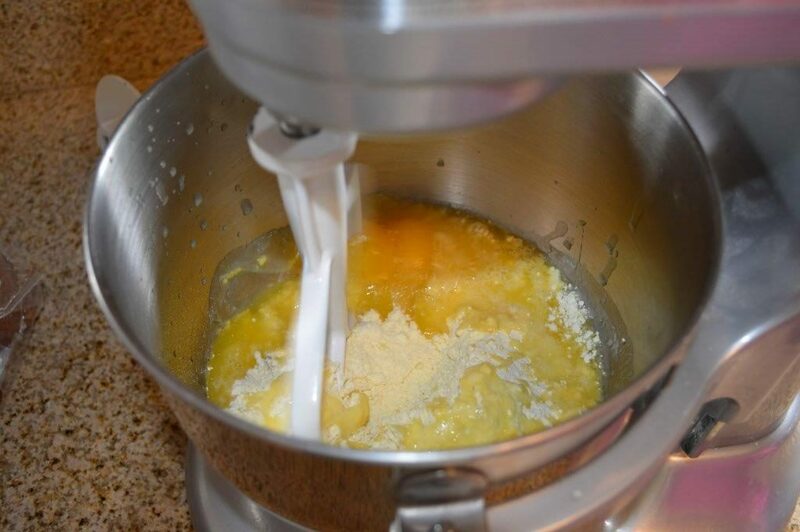 In a bowl beat the 2 eggs well, then add in the melted butter and dry cake mix. 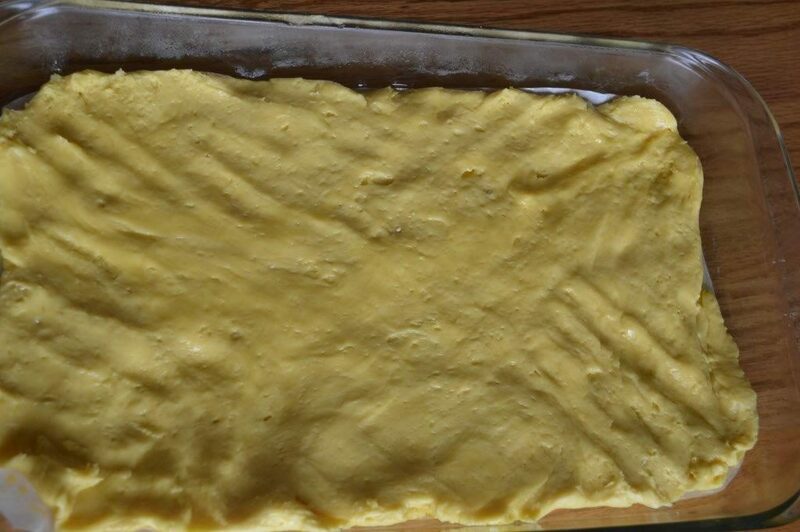 Press the dough evenly over the bottom of the prepared pan and set aside. Clean out the bowl and beater. 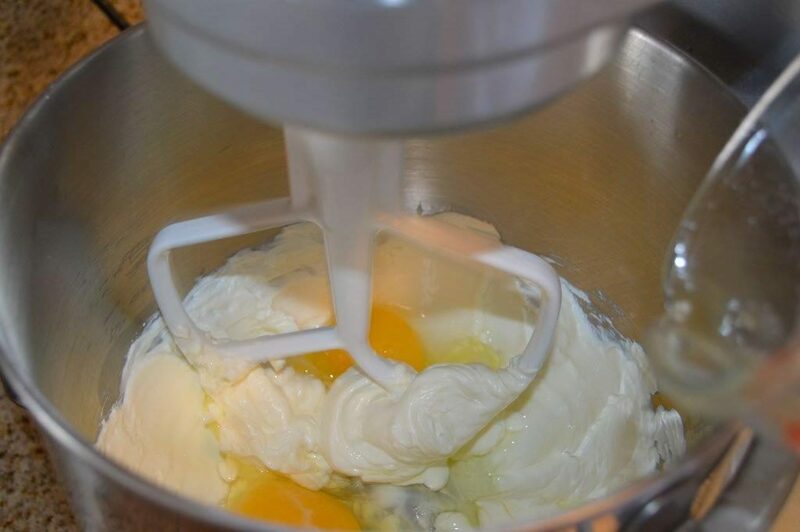 In the same clean bowl, beat the cream cheese, vanilla and eggs for three minutes. 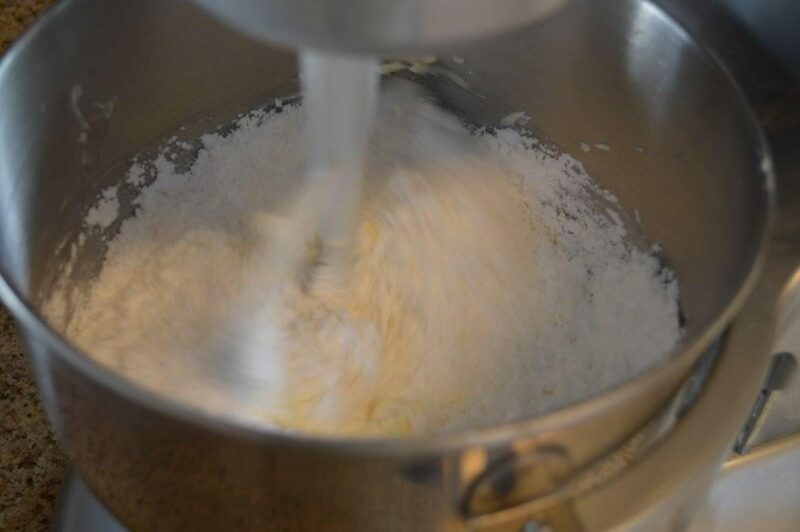 Add in the powdered sugar and continue to beat until well combined. 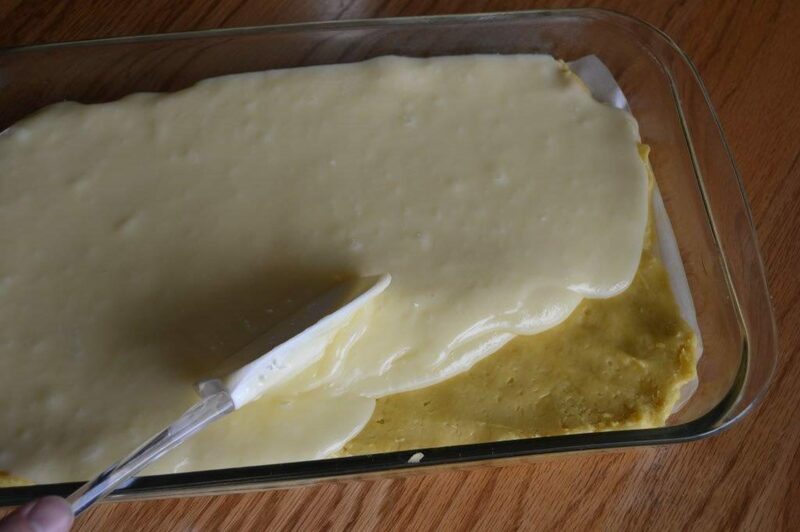 Bake for approximately 28-35 minutes; or until done. 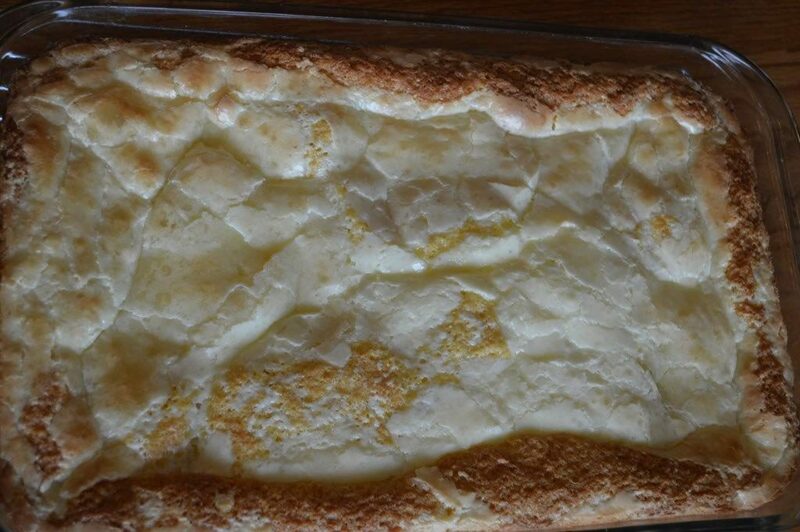 When it is done, it will be set to the touch in the center; remove from the oven.